Award to research with micronanotechnology. The Royal Spanish Academy of Engineering has awarded a medal to Víctor Sebastián Cabeza, researcher of the group “Nanostructured Films and Particles”, which coordinates Unit 9 of NANBIOSIS. The prize has been awarded in recognition of his work in designing a wide variety of micro-reactors to produce nanomaterials in a controlled and successful manner, reducing time and costs, with applications in Biomedicine, catalysis or energy processes. 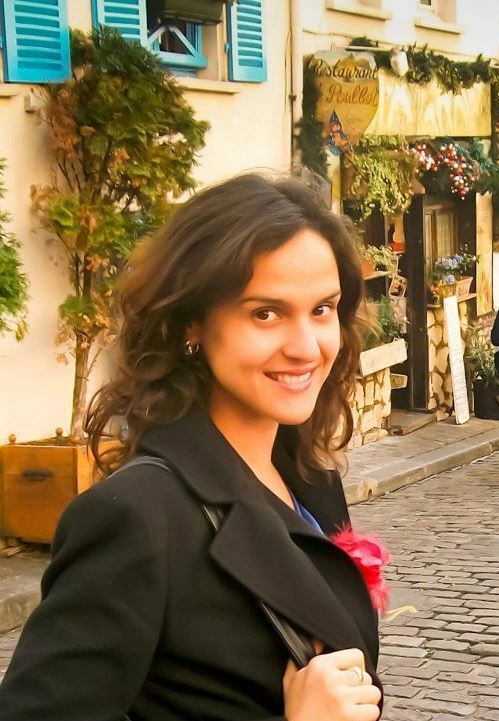 Dr Víctor Sebastián also received the prestigious Fulbright scholarship in 2009 to carry out a postdoctoral research at the Massachusetts Institute of Technology (MIT) on nanomaterials and its development in microfluidics and in 2014 the European Academy awarded him the Burgen Scholarship Award recognizing him as one of the young researchers with greater scientific projection. 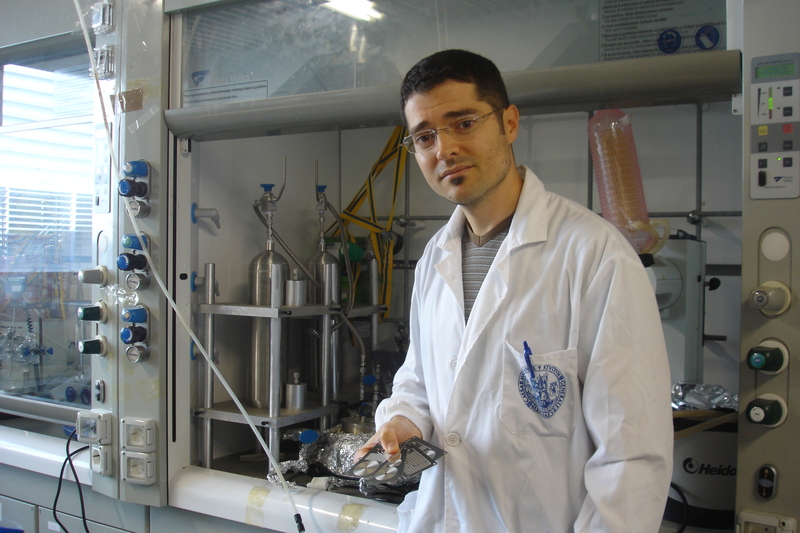 Victor works in the field of micronanotechnology for its application in Biomedicine, Catalysis or energy processes. In particular, it has designed a large variety of micro-reactors with sub-millimeter dimensions that allow very precise control of the reaction conditions of the chemical processes that take place in them. Dr Sebastian is an active member of Unit 9 of Nanobiosis, where he develops microfluidic system for biomedicine that allow a highly precise synthesis of nanomaterials. 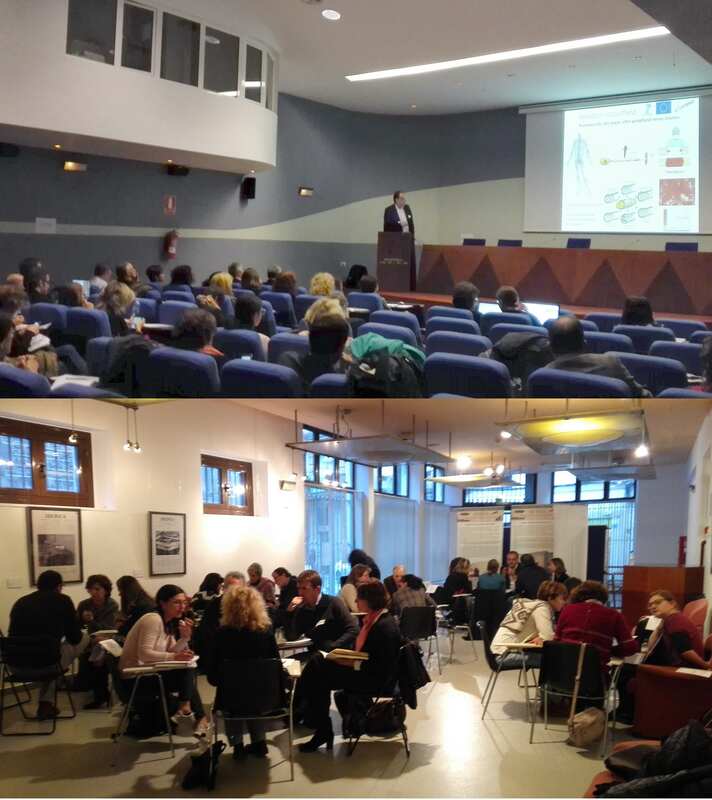 Last November 8th, 2016 took place in Barcelona, in the Residence of Researchers of CSIC, a meeting of Italian-Spanish scientists, the first Investigators B2B Forum organized by NANBIOSIS. 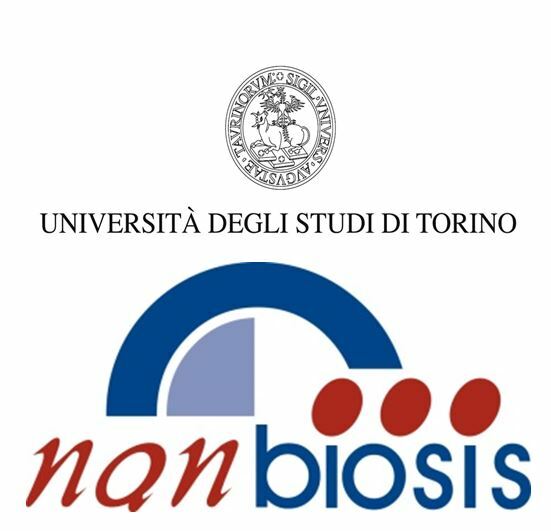 The meeting reached its objective of bringing together the interests of researchers from University of Turin and NANBIOSIS/CIBER-BBN on biomaterials and nanomedicine. 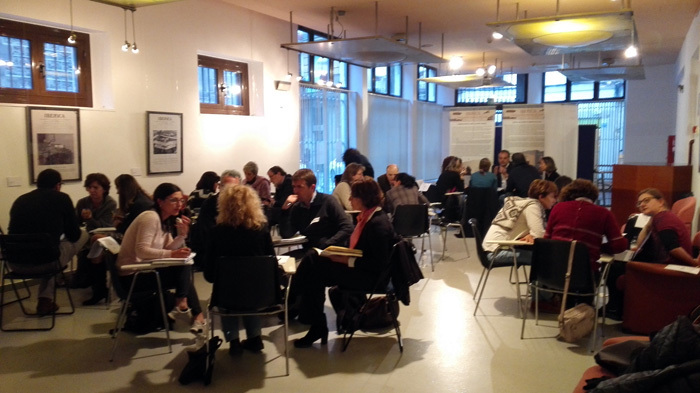 Nine groups from L’Università di Torino together with sixteen groups from CIBER-BBN and CCMIJU (partners of NANBIOSIS), got together to explain through short presentations of ten minutes, those lines of their work aimed at finding synergies and potential collaborations. 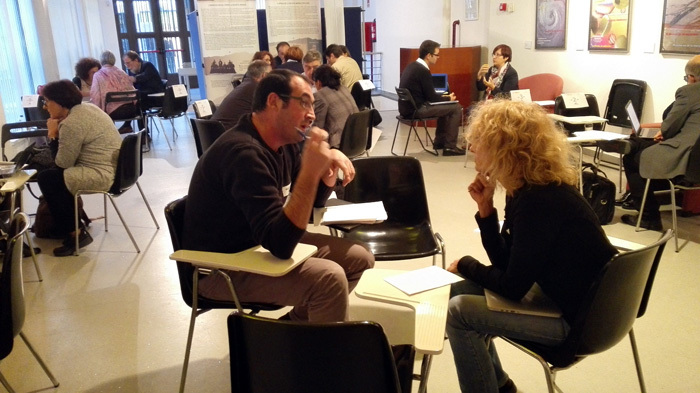 In the afternoon, the groups had the opportunity to discuss in more detail, during bilateral interviews coordinated by NANBIOSIS, those aspects that had attracted their attention, as well as, in some cases, to draw potential collaborations. Topics as preclinical validation of nanomedicines, animal models, custom peptide synthesis, carbon nanotubes and graphene for biomedicine, micronanotecnology, drug microencapsulation, nanoestuctured liquid characterizacion, surface microanalysis of biomaterials, pharmacodynamics, preclinical in vivo MRI and MRSI, tissues and biomaterials MRI, nanoparticles for drug delivery, nanoestructuring soft materials or customized molecular materials for biomedical applications, among others, were discussed during the 75 B2B meetings celebrated. 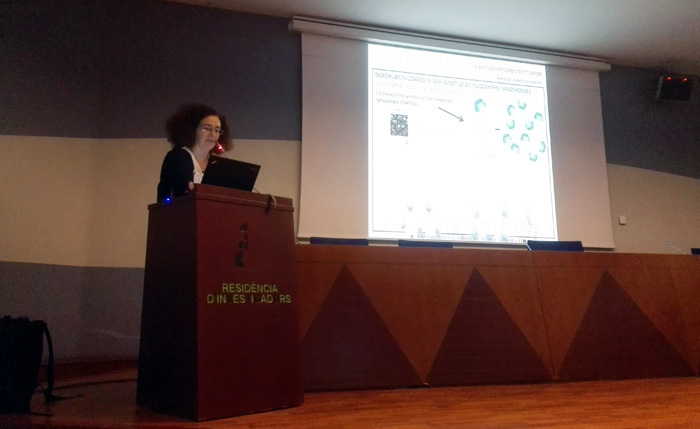 Scientist of NANBIOSIS in collaboration with other CIBER-BBN researchers have developed a sophisticated microfluidic biomedicine device capable of reproducing in vitro and by 3D bioprinting the complexity of different tumour types. 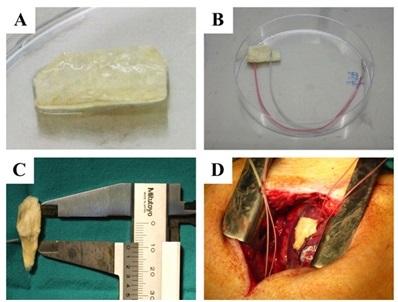 This device allows tumour cells to grow in a 3D environment where nutrients and oxygen are supplied in a controlled way through small capillaries, thus mimicking the body’s own blood vessels. Thanks to this new technology, it is now possible to reproduce in a controlled way all the processes of the tumour environment, which could help to develop new treatments and combinations of drugs that are more effective for the treatment of these tumours. In this study, published in Scientific Reports, have participated researchers from the Group of Applied Mechanics and Bioengineering (AMB) of the University of Zaragoza , which coordinates Unit 13 of NANBIOSIS . 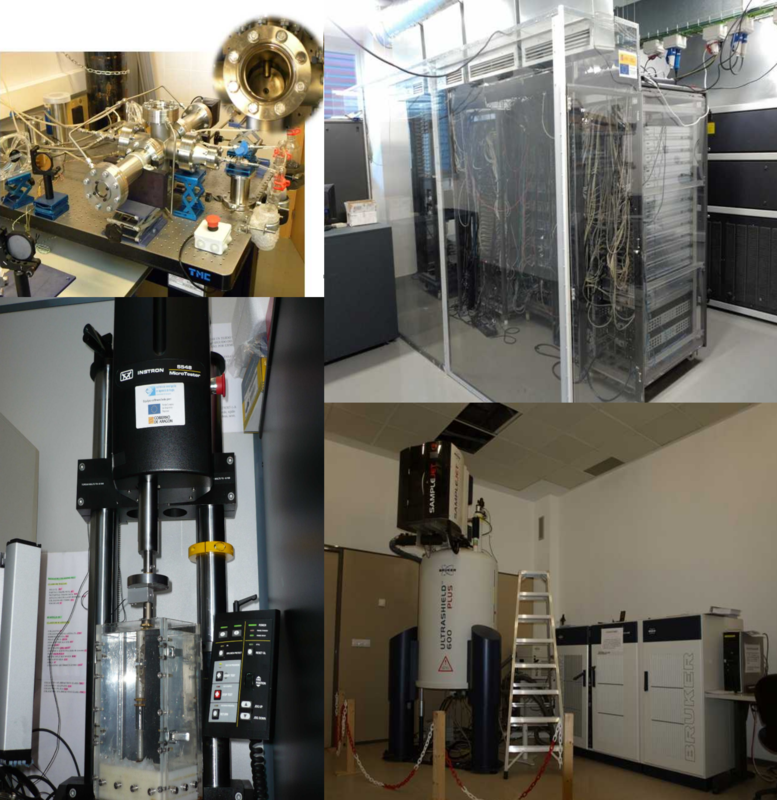 4 Units of NANBIOSIS hosted in three Universities among the 200 best in the world in science. The University of Zaragoza is one of the 200 best universities in the world in science research, according to the latest Shanghai ranking of 2016 in a specific analysis by macro areas. In order to elaborate this ranking by macroareas indicators such as the number of students and professors who have obtained the Nobel prize or Fields medal, the number of researchers highly cited in the scientific literature, the number of scientific articles indexed in the Science Citation Index and the Percentage of articles published in the most cited 20% scientific journals are used. Only six Spanish universities are among the 200 best in the world in the field of science, such as the Autonomous University of Madrid, University of Barcelona, University of Santiago de Compostela, Polytechnic University of Valencia, University of Valencia and Zaragoza. The list of the world’s top 200 universities in science is headed by American universities in Berkeley (California), Stanford, Princeton, Harvard, the Massachusetts Institute of Technology and California, which rank the top six. In the seventh one appears the first European university, Cambridge, followed by the one of Tokyo, Technological Institute of Switzerland and the University of Los Angeles. NANBIOSIS contributes to this success through the elite researchers that coordinate three of its Units located in the University of Zaragoza: Unit 9 that offers services for sciences research as Synthesis of Nanoparticles biomedicine, micronanotechnology or microfluidics biomedicine, Unit 13 with services as tissue and biomaterial characterization or mechanical tests of tissues and Unit 27 which offers services for sciences research on biomedical computer simulation, modelling of biomedical systems or large simulation multicore and multiserver, among other aspects. 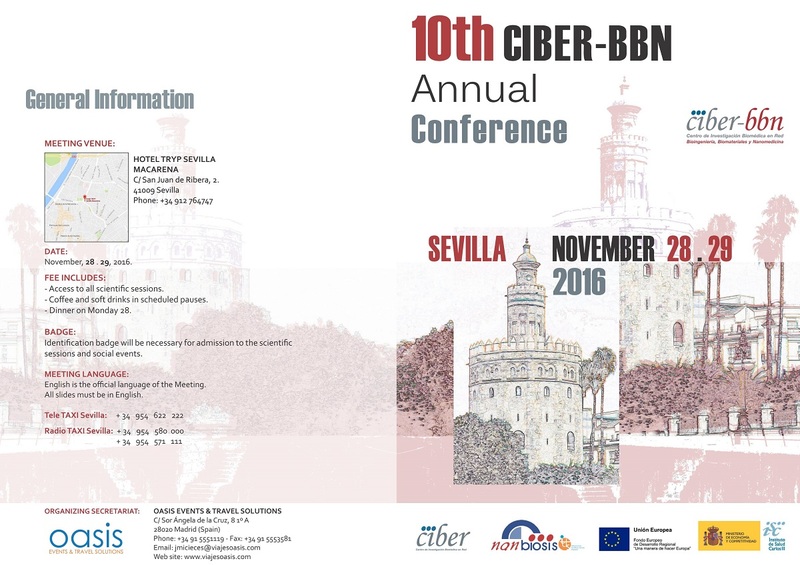 The Conferences in Nanotechnology of major reference at Spanish level. 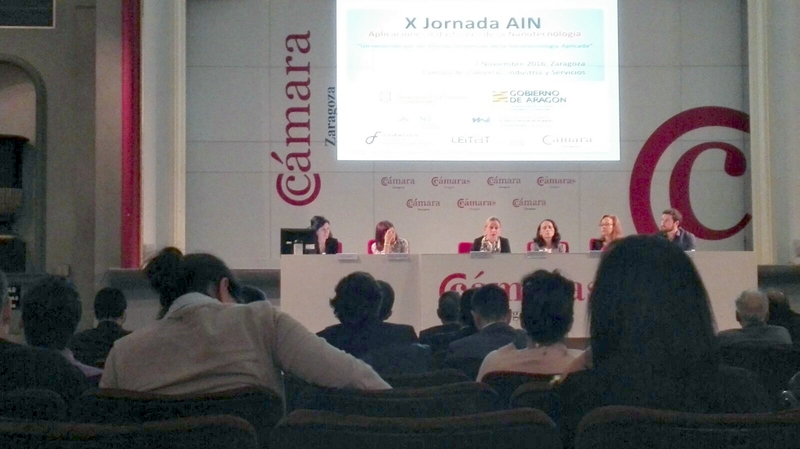 Last November, 7th, the 10th AIN Conference on Industrial Applications of Nanotechnology, held in Zaragoza, brought together experts from research centres, universities and companies on the Industrial Applications of Nanotechnology. 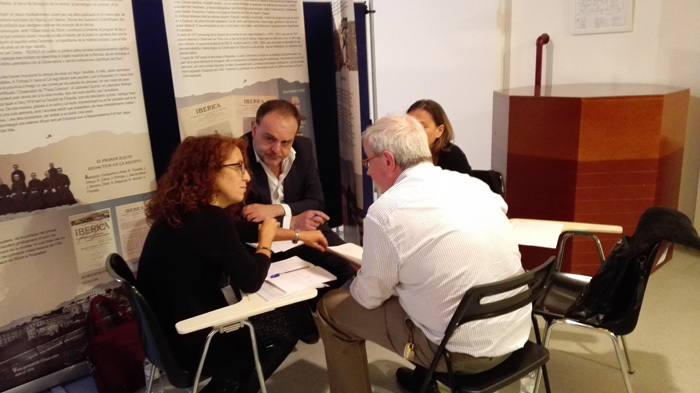 Among them Jordi Reverter, Head of Knowledge and Technology Transfer of ICN2, (Institute housing Unit 4 of NANBIOSIS) and Ricardo Ibarra, director of Institute of Nanoscience of Aragon (INA) which houses Unit 9 of NANBIOSIS) . During the meeting, their experience with nanotechnology was shown by the ICTS Elecmi and companies such as Grupo Antolín, Samca Group, BSH Electrodomésticos, Cepsa, Argenol Laboratories and Graphene Nanotech. 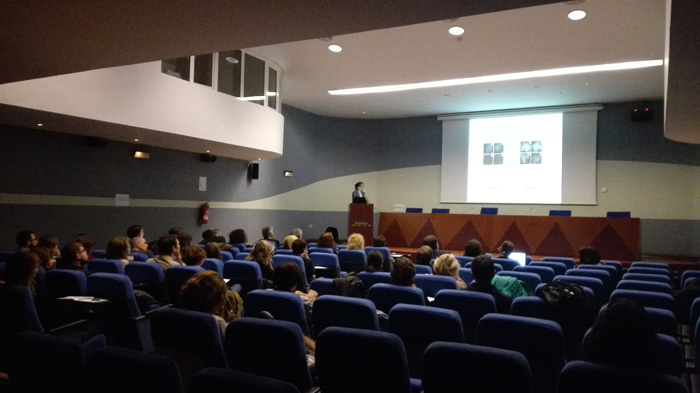 Dr. Jose L. Hueso (Unit 9 of NANBIOSIS) presented a recently patented nanocatalyst with great potential for its application in both biomedical and petrochemical fields. 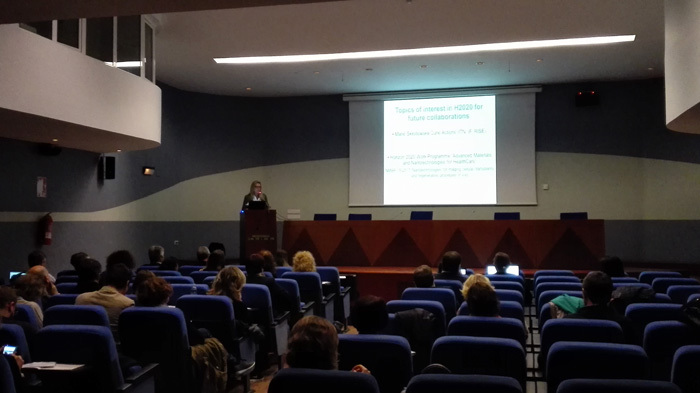 The oral presentation entitled “NonInvasive Assessment of an engineered bioactive graft using impedance spectroscopy in a swine myocardial infarction”, presented in the 2016 Spanish Society of Cardiology Meeting, has been awarded. 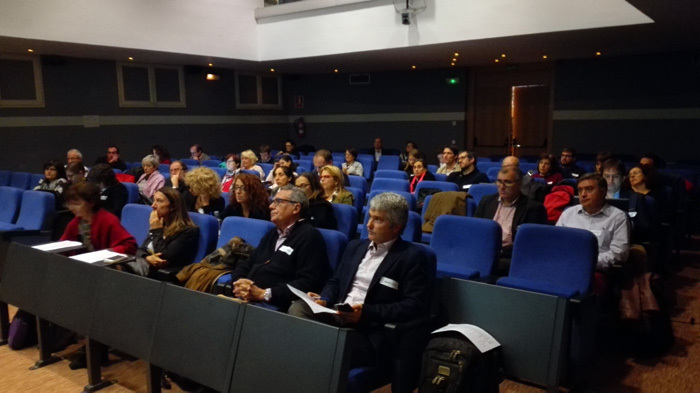 The Heart Diseases Meeting, held in the town of Zaragoza last 27-29th October, was focused on sharing experiences, making contacts and updating some knowledge. The event got together cardiologists, general practitioners, researchers, internists, epidemiologists, practitioner residents and nurses, offering more than 140 activities and nearly 1000 communications. Carolina Gálvez-Montón, Ramón Bragós, Carolina Soler-Botija, Idoia Díaz-Güemes, Cristina Prat-Vidal, Verónica Crisóstomo, Francisco Miguel Sánchez-Margallo and Antoni Bayés-Genís (three of them JUMISC’semployees), were the authors awarded by the best oral presentation. 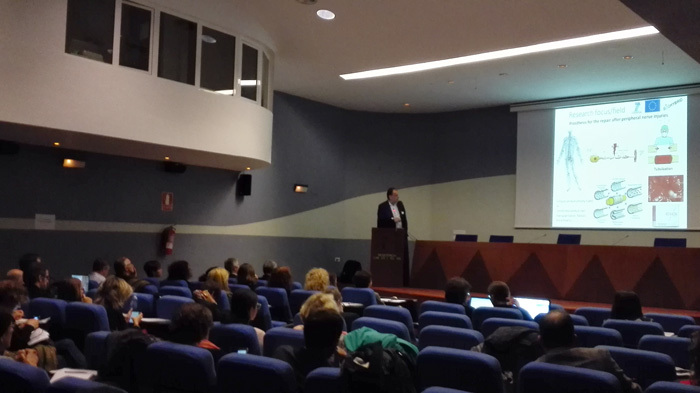 This is the result of the collaboration between the Germans Trias i Pujol Hospital, the Politécnica of Cataluña University, the Autónoma University of Barcelona and the Jesús Usón Minimally Invasive Surgery Centre (JUMISC).